More than Words I Believe Figurine. 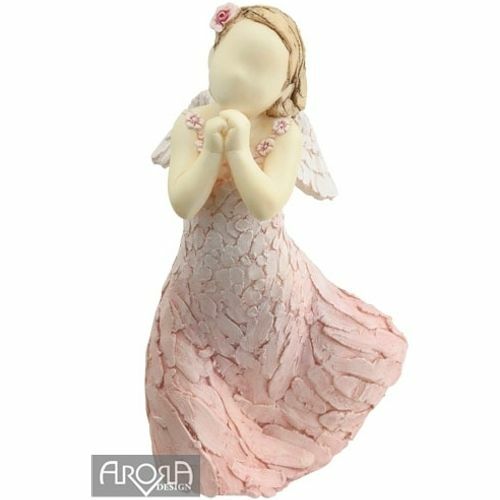 This charming figurine features an adorable little angel in a pink dress. It is a wonderful household display ornament and a gift of encouragement and inspiration. The beauty of More than Words is its ability to create emotion through the art of human gesture, making each piece open to interpretation and therefore more personal to every owner. Each More than Words figurine is presented in its own individual box, accompanied by a name card detailing the sentiment.